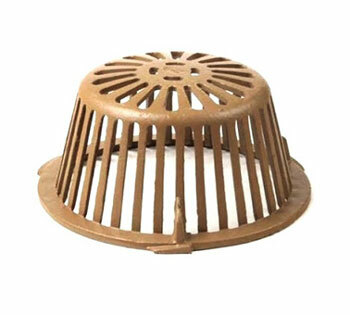 PRODUCT: 11-3/4 inch OD x 5-1/4 High Smith Replacment Cast Iron Drain Dome. Price/Each. APPLICATIONS: Fits Smith 1010 and 1080 Series Drains. Smith 1080WDC 2-inch Water Dam / Combination Flashing Clamp / Gravel Stop, Cast Iron. Fits Smith 1010/ 1080 Series 2-6 inch outlet Roof Drains. Price/Each.